PREMIERE OF TEAM LOBEY & IZOLAN "TENNIS" & JBEATZ'S "OU MET KONDANE'M" MUSIC VIDEOS! 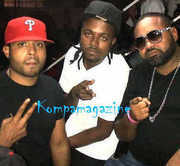 *TEAM LOBEY WITH IZOLAN & TROUBLEBOY "PA PILE TENNIS MWEN" MUSIC VIDEO (WATCH)! *JBEATZ "OU MET KONDANE'M" MUSIC VIDEO!